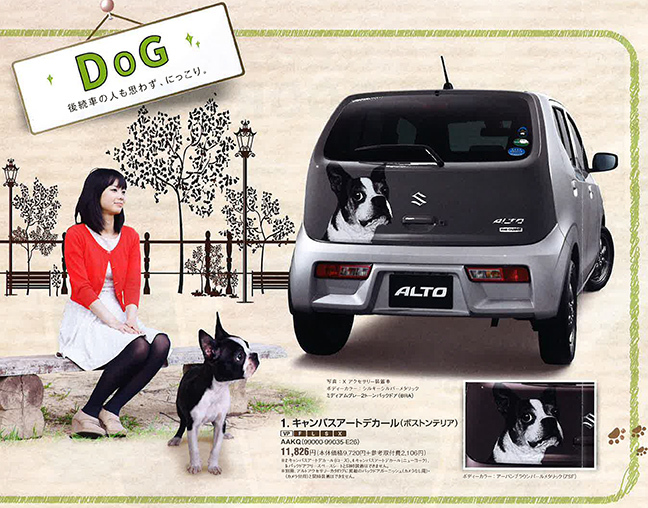 I’m thrilled to announce that “Boston Style”, my scratchboard drawing of a Boston Terrier, is now available on special edition Suzuki “Alto” cars in Japan. 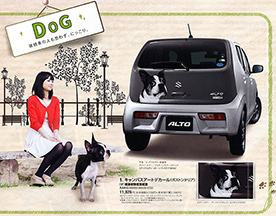 The drawing is re-created as one of a series of optional decals for application on the tailgate of the mini hatchback. The creative producer of Hakuhodo, Inc., Japan’s oldest advertising and marketing firm, contacted me in April of 2015 after Hakuhodo’s creative designer found my art on the internet. They were looking for animal illustrations and felt that the drawing was “fitting & appealing to the target audience (females in their 20’s-30’s).” Many emails, negotiations, a contract, forms, forms and more forms ensued, and the art was eventually made into a decal. Please visit this page for more details. 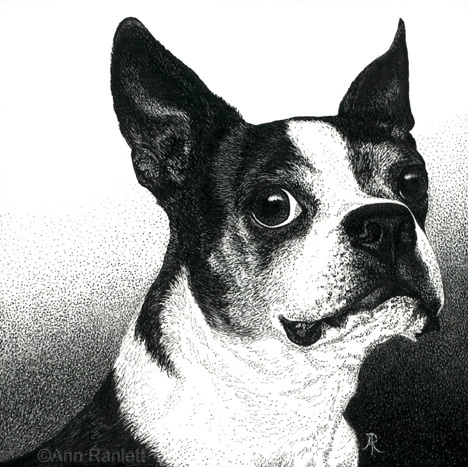 This entry was posted in licensing, publicity. Bookmark the permalink.